"Home of the NORTHERN FREEZE"
The first grade class received helmets that were donated by the Karlstad Lions and Kittson Memorial Health Care. Congratulations to the Envirothon team of Trey, Tori, Anton, Tommy and Jackson for advancing to state! Good work to all of the Envirothon participants! Download and print the FCCLA Tumbler order form here. Tri-County Schools is in need of a Part-Time Custodian. Hours are flexible (after school, up to 4 hrs a day when school is in session). The position would run through the remainder of the school year. Please contact Ryan Baron at Tri-County School at 436-2261 or stop up and fill out an application or if you have any questions. Position is open until filled. Tri-County Independent School District #2358 is an Equal Opportunity Employer. Download and print the Sports Acceleration flyer and registration form here. MCA schedule updated April 1, 2019. Tri-County School has FREE tickets for the Shrine Circus this weekend in Thief River Falls. Stop up into the District Office or call 436-2261 to get yours today! Help Isabel P and Emily B raise money for their trip to the National FCCLA conference in Anaheim, CA. Click here to shop their Pampered Chef party. ​Home of the NORTHERN FREEZE! 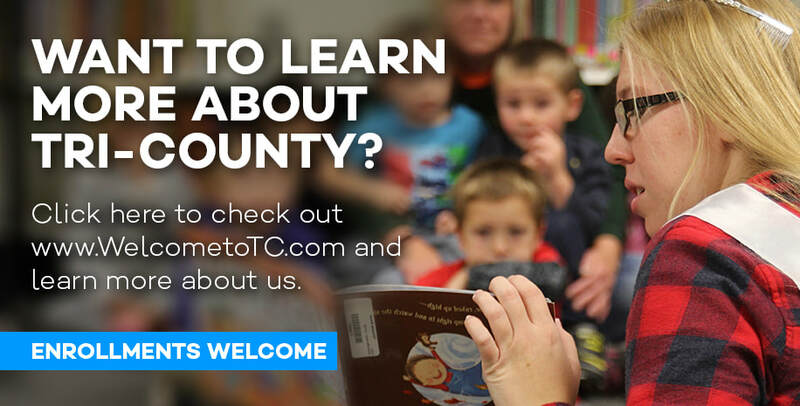 Tri-County Schools is a small PreK-12 public school that proudly provides an exemplary education to students in the communities of Halma, Karlstad, Lake Bronson, and Strandquist. Tri-County Schools staffs highly-qualified certified teachers in all departments K-12. With a student body of just over 200 students, every student enjoys a personalized one-on-one education, a small 9:1 student-to-teacher ratio, a large selection of electives and free college-credit classes, and the ability to participate in a wide variety of athletic, art, and academic extra-curricular activities. We are a small school with big school opportunities that strives to enhance each student to their fullest potential! For additional forms, see Forms page.